Name Variation Oliver J. Moore was also known as O. J.
Oliver J. Moore was born on 26 October 1869 at St Peter, Minnesota. He was the son of Charles E. Moore and Mary Wagner. Oliver J. Moore married Hannah C. Wall, daughter of James P. Wall and Mary Brady, circa 1893. Oliver J. Moore and Hannah C. Wall were divorced before 1925 as noted in 1925 Iowa State Census Record for Hannah C Moore. Oliver J. Moore died between 1925 and 1932. Oliver J. Moore was a wholesale grocer in 1922. 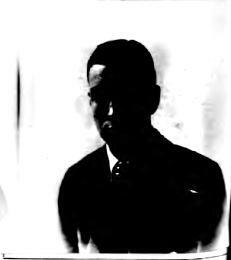 On 14 September 1922 at U.S. Passport Application. [S246] U.S. Federal Census 1880 U.S. Federal Census, by Ancestry.com, Year: 1880; Census Place: Western, Knox, Nebraska; Roll T9_751; Family History Film: 1254751; Page: 84.1000; Enumeration District: 110; Image: 0351. [S245] U.S. Federal Census 1900 U.S. Federal Census, by Ancestry.com, Year: 1900; Census Place: Sioux City, Woodbury, Iowa; Roll T623_467; Page: 1A; Enumeration District: 166. [S244] U.S. Federal Census 1910 U.S. Federal Census, by Ancestry.com, Year: 1910; Census Place: Sioux Ward 2, Woodbury, Iowa; Roll T624_429; Page: 13A; Enumeration District: 181; Image: 1061. [S243] U.S. Federal Census 1920 U.S. Federal Census, by Ancestry.com, Year: 1920;Census Place: Sioux City Precinct 7, Woodbury, Iowa; Roll: T625_520; Page: 5B; Enumeration District: 216; Image: 974. Name Variation Hannah C. Wall was also known as Hanna. Married Name circa 1893 As of circa 1893,her married name was Moore. Hannah C. Wall was born in December 1872 at Iowa. She was the daughter of James P. Wall and Mary Brady. Hannah C. Wall married Oliver J. Moore, son of Charles E. Moore and Mary Wagner, circa 1893. Hannah C. Wall and Oliver J. Moore were divorced before 1925 as noted in 1925 Iowa State Census Record for Hannah C Moore. Hannah C. Wall died on 12 August 1932 at Iowa at age 59. 1 January 1925 Sioux City, Woodbury, Iowa Hannah C. Wall is listed as mother on the census of 1 January 1925 in the household of Joseph Charles Moore at Sioux City, Woodbury, Iowa. Hannah C. Wall had 4 with 3 living in 1900 children. She had 8 with 6 living in 1910 children. [S246] U.S. Federal Census 1880 U.S. Federal Census, by Ancestry.com, Year: 1880; Census Place: Sioux City, Woodbury, Iowa; Roll T9_371; Family History Film: 1254371; Page: 371.1000; Enumeration District: 241; Image: 0063. [S250] U.S. Federal Census 1930 U.S. Federal Census, by Ancestry.com, Year: 1930; Census Place: Sioux City, Woodbury, Iowa; Roll 690; Page: 10B; Enumeration District: 49; Image: 187.0. Oliver T. Moore was born circa 1901 at Iowa. He was the son of Oliver J. Moore and Hannah C. Wall. Oliver T. Moore married Elizabeth (?) circa 1920. [S250] U.S. Federal Census 1930 U.S. Federal Census, by Ancestry.com, Year: 1930; Census Place: Sioux City, Woodbury, Iowa; Roll 690; Page: 3A; Enumeration District: 54; Image: 372.0. Married Name circa 1920 As of circa 1920,her married name was Moore. Elizabeth (?) was born circa 1902 at Iowa. She married Oliver T. Moore, son of Oliver J. Moore and Hannah C. Wall, circa 1920. James W. Moore was born circa 1903 at Iowa. 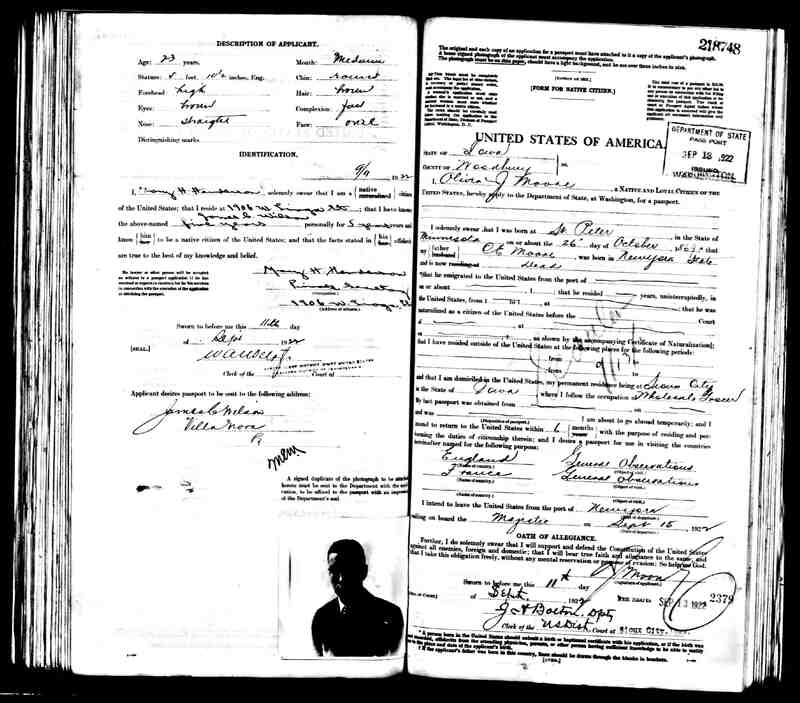 1 January 1925 Sioux City, Woodbury, Iowa James W. Moore appeared on the census of 1 January 1925 in the household of Oliver J. Moore at Sioux City, Woodbury, Iowa. Married Name Her married name was Roarke. Hannah Moore was born circa 1905 at Iowa. She was the daughter of Oliver J. Moore and Hannah C. Wall. 1 January 1925 Sioux City, Woodbury, Iowa Hannah Moore appeared on the census of 1 January 1925 in the household of Oliver J. Moore at Sioux City, Woodbury, Iowa. Joseph O. Quall was born circa 1921 at Iowa. He was the son of Ole Oleson Quall and Mary E. Moore. 1 January 1925 Sioux City, Woodbury, Iowa Joseph O. Quall appeared on the census of 1 January 1925 in the household of Ole Oleson Quall at Sioux City, Woodbury, Iowa. Name Variation Lucile Moore was also known as Lucille. Married Name circa 1915 As of circa 1915,her married name was Flinn. Lucile Moore was born on 20 June 1893 at Iowa. Lucile Moore married Edward B. Flinn, son of M. L. Flinn and Emma Wilkens, circa 1915. Lucile Moore died in August 1970 at age 77. 1 January 1925 Sioux City, Woodbury, Iowa Lucile Moore appeared on the census of 1 January 1925 in the household of Edward B. Flinn at Sioux City, Woodbury, Iowa. Lucile Moore obtained US Social Security Card at Nebraska; last residence Omaha, Douglas, Nebraska. [S243] U.S. Federal Census 1920 U.S. Federal Census, by Ancestry.com, Year: 1920;Census Place: Sioux City Precinct 6, Woodbury, Iowa; Roll T625_520; Page: 9A; Enumeration District: 211; Image: 764. [S250] U.S. Federal Census 1930 U.S. Federal Census, by Ancestry.com, Year: 1930; Census Place: St Louis, St Louis (Independent City), Missouri; Roll 1242; Page: 23B; Enumeration District: 178; Image: 84.0. Name Variation Edward B. Flinn was also known as E. B.
Edward B. Flinn was born circa 1888 at Iowa. He was the son of M. L. Flinn and Emma Wilkens. Edward B. Flinn married Lucile Moore, daughter of Oliver J. Moore and Hannah C. Wall, circa 1915. Joseph Charles Moore was born in October 1896 at Iowa. 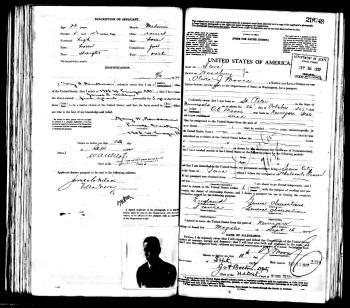 1 January 1925 Sioux City, Woodbury, Iowa Joseph Charles Moore appeared on the census of 1 January 1925 at Sioux City, Woodbury, Iowa. He was the son of Knute Ofstad and Anna Quall. Julius Ofstad married Anna Ericson, daughter of John Ericson and Mary Peterson, before 1934. 8 January 1920 Emmet, Union, South Dakota Julius Ofstad was listed as a son in Anna Quall's household on the 1920 Census at Emmet, Union, South Dakota. 1930 Alcester, Union, South Dakota Julius Ofstad was listed as a lodger on the 1930 Census at Alcester, Union, South Dakota. [S373] U.S. Federal Census 1940 U.S. Federal Census, by Ancestry.com, Year: 1940; Census Place: Alcester, Union, South Dakota; Roll: T627_3869; Page: 1A; Enumeration District: 64-1. Oliver Ofstad was born in October 1895 at South Dakota. [S245] U.S. Federal Census 1900 U.S. Federal Census, by Ancestry.com, Year: 1900; Census Place: Prairie, Union, South Dakota; Roll: T623_1555 Page: 15B; Enumeration District: 332. Eleanor Stene was born circa 1919 at South Dakota. She was the daughter of Edward S. Stene and Sophia R. Buum. [S243] U.S. Federal Census 1920 U.S. Federal Census, by Ancestry.com, Year: 1920;Census Place: Emmet, Union, South Dakota; Roll: T625_1724; Page: 1B; Enumeration District: 250; Image: 506. Elwood Conwell Winquist was born on 14 September 1922. He died on 8 September 2006 at age 83 Elwood C. Winquist, 83, of rural Akron, died Friday, Sept. 8, 2006, at the Akron Care Center. Services were 6 p.m. Sunday at Big Springs Baptist Church at rural Alcester, S.D., with the Rev. Daryl Runion officiating. Graveside services were at 10 a.m. today (Monday) at Big Springs Township Cemetery, rural Alcester. Visitation with the family present after 4 p.m. Sunday at the church. Carlsen Funeral Home - Schroeder Chapel in Akron was in charge of arrangements. Jeraldine Buum was born circa 1917 at South Dakota. She was the daughter of Joseph L. Buum and Bertha Stene. Jeraldine Buum died before July 2006. Name Variation Harold George Lundegard Sr. was also known as George Harold. Harold George Lundegard Sr. was born on 28 September 1894 at Stillwater, Washington, Minnesota, also reported as 27 Sep 1894. He was the son of Axel A. Lundegard and Edythe Peterson. Harold George Lundegard Sr. married Gertrude Stene, daughter of Severt Johnson Stene and Gertrude Sokness, on 11 September 1923 at Minnehaha, South Dakota, surname listed as Lurdegard. Harold George Lundegard Sr. died on 16 April 1980 at Hennepin, Minnesota, at age 85. 1900 Stillwater Ward 2, Washington, Minnesota Harold George Lundegard Sr. was listed as a son in Axel A. Lundegard's household on the 1900 Census at Stillwater Ward 2, Washington, Minnesota. Harold George Lundegard Sr. obtained US Social Security Card at Minnesota; last residence Minneapolis, Hennepin, Minnesota. Harold George Lundegard Jr. was born on 20 December 1925. He was the son of Harold George Lundegard Sr. and Gertrude Stene. Harold George Lundegard Jr. died on 9 November 1999 at Hennepin, Minnesota, at age 73. Name Variation Edythe Peterson was also known as Ida. Name Variation Edythe Peterson was also known as Edith. Married Name 6 May 1888 As of 6 May 1888,her married name was Lundegard. Edythe Peterson was born in September 1868 at Minnesota also reported as Michigan. She married Axel A. Lundegard on 6 May 1888 at Stillwater, Washington, Minnesota. 1900 Stillwater Ward 2, Washington, Minnesota Edythe Peterson was listed as wife in Axel A. Lundegard's household on the 1900 Census at Stillwater Ward 2, Washington, Minnesota. Edythe Peterson had 6 with 5 living in 1900 children. Axel A. Lundegard was born in March 1865 at Sweden. He married Edythe Peterson on 6 May 1888 at Stillwater, Washington, Minnesota. Axel A. Lundegard died on 16 March 1953 at Ramsey, Minnesota. 1900 Stillwater Ward 2, Washington, Minnesota Axel A. Lundegard was listed as the head of a family on the 1900 Census at Stillwater Ward 2, Washington, Minnesota. Axel A. Lundegard was a clerk at post office in 1900 at Stillwater Ward 2, Washington, Minnesota. Name Variation Herbert Axel Lundegard was also known as Axel Herbert. Herbert Axel Lundegard was born on 7 July 1893 at Stillwater, Washington, Minnesota, also reported as 07 Jul 1892. Herbert Axel Lundegard died on 29 March 1970 at Ramsey, Minnesota, at age 76. 1900 Stillwater Ward 2, Washington, Minnesota Herbert Axel Lundegard was listed as a son in Axel A. Lundegard's household on the 1900 Census at Stillwater Ward 2, Washington, Minnesota. Herman J. Bondhus was born on 9 January 1887 at Iowa. He was the son of Thorbjorn I. Bondhus and Margeratha (?). Herman J. Bondhus married Mary S. Stene, daughter of Severt Johnson Stene and Gertrude Sokness, on 4 March 1911 at Union, South Dakota. Herman J. Bondhus died in March 1977 at age 90. 9 June 1900 Griggs, Ida, Iowa Herman J. Bondhus was listed as a son in Thorbjorn I. Bondhus's household on the 1900 Census at Griggs, Ida, Iowa. Herman J. Bondhus obtained US Social Security Card at South Dakota; last residence Rochester, Olmsted, Minnesota. On 5 June 1917 at World War I Draft Registration, Lincoln, South Dakota, reported wife and 2 children. [S250] U.S. Federal Census 1930 U.S. Federal Census, by Ancestry.com, Year: 1930; Census Place: Beresford, Lincoln, South Dakota; Roll: 2226; Page: 3B; Enumeration District: 1; Image: 505.0. Tony Bondhus was born circa 1912 at Minnesota. He was the son of Herman J. Bondhus and Mary S. Stene. Harold M. Bondhus was born in May 1917 at South Dakota. 1945 Precinct 24a, Dade, Florida Harold M. Bondhus appeared on the census of 1945 at Precinct 24a, Dade, Florida. Marian Bondhus was born circa 1920 at South Dakota. She was the daughter of Herman J. Bondhus and Mary S. Stene. Name Variation Margeratha (?) was also known as Magretha (?). Married Name circa 1880 As of circa 1880,her married name was Bondhus. Margeratha (?) was born in March 1862 at Norway. She married Thorbjorn I. Bondhus circa 1880. Margeratha (?) died in June 1905 at age 43. 9 June 1900 Griggs, Ida, Iowa Margeratha (?) was listed as wife in Thorbjorn I. Bondhus's household on the 1900 Census at Griggs, Ida, Iowa. Margeratha (?) had 11 with 11 living in 1900 children. Name Variation Thorbjorn I. Bondhus was also known as Thorson T.
Thorbjorn I. Bondhus was born in October 1854 at Norway. He married Margeratha (?) circa 1880. Thorbjorn I. Bondhus died after June 1905. 9 June 1900 Griggs, Ida, Iowa Thorbjorn I. Bondhus was listed as the head of a family on the 1900 Census at Griggs, Ida, Iowa. John Bondhus was born in March 1882 at Iowa. 9 June 1900 Griggs, Ida, Iowa John Bondhus was listed as a son in Thorbjorn I. Bondhus's household on the 1900 Census at Griggs, Ida, Iowa. Gunner Bondhus was born in August 1885 at Iowa. 9 June 1900 Griggs, Ida, Iowa Gunner Bondhus was listed as a son in Thorbjorn I. Bondhus's household on the 1900 Census at Griggs, Ida, Iowa. Zelma B. Bondhus was born in April 1888 at Iowa. She was the daughter of Thorbjorn I. Bondhus and Margeratha (?). 9 June 1900 Griggs, Ida, Iowa Zelma B. Bondhus was listed as a daughter in Thorbjorn I. Bondhus's household on the 1900 Census at Griggs, Ida, Iowa. Martin Bondhus was born in May 1889 at Iowa. 9 June 1900 Griggs, Ida, Iowa Martin Bondhus was listed as a son in Thorbjorn I. Bondhus's household on the 1900 Census at Griggs, Ida, Iowa.